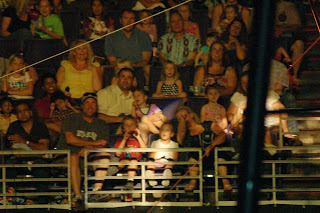 We had the absolute pleasure of attending the Ringling Circus last night as it passes through Phoenix this week. 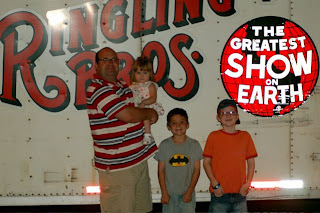 Our kids have never been to the circus, and both my husband and I hadn't been since we were young kids, so everyone was looking forward to it. We had a fantastic time! There wasn't one moment of boredom during the entire performance. In fact, when they announced intermission, my oldest said "You mean there's even MORE??" and was thrilled when I told him there was. The performers showed amazing physical skills, and the magic tricks that were throughout the "Zing Zang Zoom!" show were great. C likes to practice magic, and was thoroughly impressed with a number of the tricks -- including one where a person in a suspended box became a tiger. He told me that he knows there is distraction involved in magic tricks, so he tried hard to concentrate but still was stumped by a number of the tricks. I think I was most amazed by the athleticism of the performers! 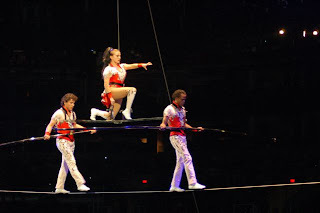 From the dancing clowns, to the tight rope, to the flipping through the air -- it was all exciting and fun to watch. N got this great photo of the people directly across from us in the arena. You can see the amazement and awe on everyone's face! 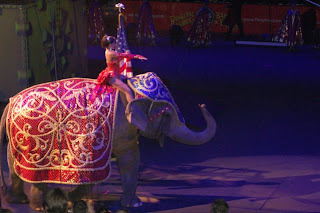 L was thrilled with the elephants and tigers, and couldn't believe there were so many elephants parading across the stage. 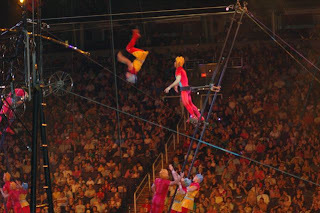 Many thanks to Mom Central and Feld Entertainment for sending my family to the circus this year. We had a wonderful time, and it was a great treat for us all!! 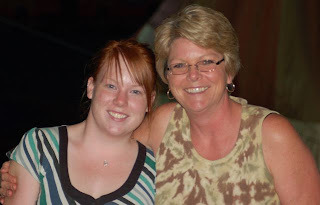 It was also fun to see another local mom blogger -- Geri! She was looking lovely, as always! You rock, Melanie! Wish we would have had more time to visit while were there, it was a really great show, wans't it? Thanks for the compliment, although I don't know that lovely is an accurate description of me, even on my best day!